Wrinkles are popularly attributed to ageing but that is not the only reason one gets wrinkles. We have seen people in their mid-twenties with wrinkles around their eyes and other facial features making them look older much before time. The question is what can one do to avoid wrinkled skin? We spoke to the hair and skin expert, Garnier to tell us how to avoid wrinkled skin and look healthy and glowing at all times. Here are the five things that you can do right to delay wrinkled skin! Washing your face everyday is essential, but it is also important to remember that over-washing your face maybe giving you wrinkles by removing all the natural oils that keep your skin supple. Be sure to not wash your skin with face wash more than twice a day if you have oily skin. For people with dry skin, washing your face once a day is recommended. Remember, over scrubbing or exfoliating is one of the key determinants in wrinkling facial skin. Water temperature has a lot to do with wrinkles. Make sure the water that you are using to wash your face is luke warm. It should neither be too hot or too cold. If the water is too cold it will cause your pores to tighten and you won’t be able to clean them out. However, if it is too hot then your skin will get dried out. Lukewarm water ensures that there is little reaction in the skin and so it is your best best while washing your face. It is surprising, but a fact nonetheless, that rubbing a towel on your face gives your wrinkles. When you scrub your face with a towel or a wash cloth it stretches the skin and breaks down the delicate system that keeps the skin together. However, it is okay to use a towel to dry you face, just make sure it is patted or pressed onto the skin and not scrubbed with. The products that you use has a lot to do with the result. You have to understand your skin type, read labels, try and ascertain what works for you. Garnier recommends their latest product especially designed to clean out pores from inside out. Garnier’s New Light Instant Fairness Scrub is combined with a formula that is enriched with pure lemon essence and whitening micro-beads. The power of these micro-beads gently scrubs away dulness to instantly recover your natural fairness. It leaves you skin softer and smoother revealing a healthy glow. The best part is that this formula has also been tested for all skin types. Once washed, it is important to moisturize your face immediately with the right cream that suits your skin type. Dry skin tends to crinkle and the best way to avoid that is by moisturising. All beauty experts swear by it. 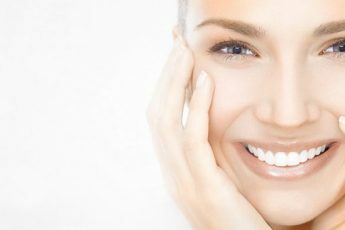 Plump and hydrated skin not only keeps ageing i.e. wrinkles away but also improves complexion. Make sure you are regularly hydrated and moisturise consistently.